Pastel Power | Dymps and Dimes. Sooo sorry for the delayed post. I was meant to post this before I went away (I was in Croatia all last week for the hideout festival). The festival was AMAZING, if it's your thing and you haven't yet been, you're missing out big time!! I hope to do a dedicated post showcasing my festival outfits soon so I will tell you more about it then!! oh hey Pastel Queen. Kinda went OTT with the pastels BUT if you are going to do something, do it well aye!! As a fashion blogger, outfit ideas and outfit inspirations take up like 75% of my brain capacity (I don't even think humans use 75% of their brain but oh well haha). 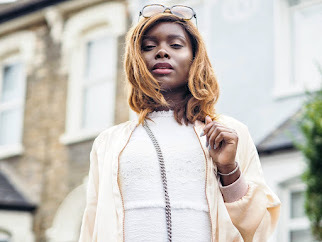 So when I saw this beautiful pastel tennis skirt and sleeveless top in American Apparel, I knew it was going to be a pastel power kind of outfit (o.m.g I tots just said the post title in the actual body of the post lol). The beautiful duck egg, powder blue or whatever you want to call it, jacket is from Primark - would you believe. I saw it at the corner of my eye and it was love at first sight. UNLUCKY for me, I ended up accidentally leaving it on a bus in Croatia and I don't think I will ever get it back :(. But I hope to pick up another when I get a chance to visit Primache again. I have seen the must-have feather bag by River Island circulate the bloggersphere like hot cakes. I had to grab myself one ! It's the perfect night out bag, adding a splash of fun to any outfit. It also comes in a range of beautiful, refreshing colours so you're spoilt for choice ! I don't know if you can tell but I really LOVE pastel colours this season. I also think they really compliment my skin tone if I say so myself. **PSSSST** just saw on Instagram, AA are holding a flash sale - 25% off skirts - online only!! QUICCCCK.